An afternoon of musical magic | Where to next? Nothing like a cannons-blazing rendition of Tchaikovsky’s 1812 Overture to bring everyone to their feet for a standing ovation. 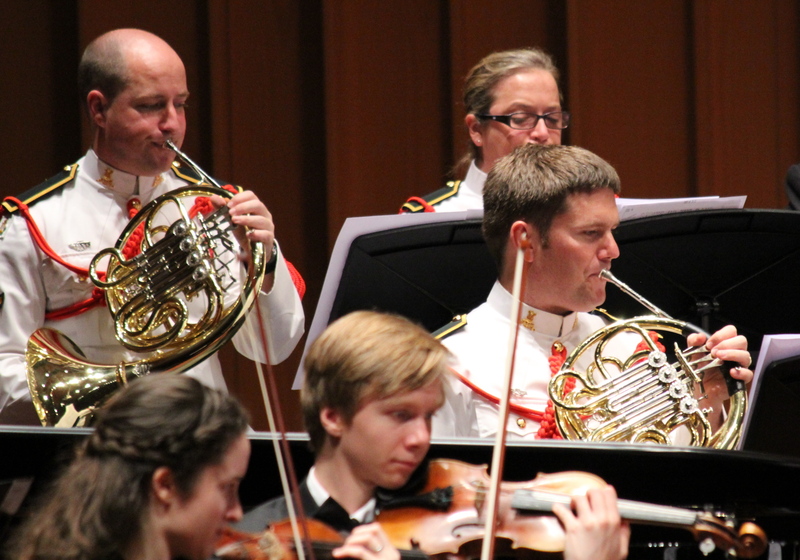 And that’s exactly what a packed house did today at the concert presented by the Canberra Symphony Orchestra with the Band of the Royal Military College, Duntroon. Two hours of gifted musicians playing strings, brass, woodwinds, percussion and keyboards was pure magic. In fact, that’s what the event was called, The Canberra Weekly Matinee Magic, Strike up the Band! 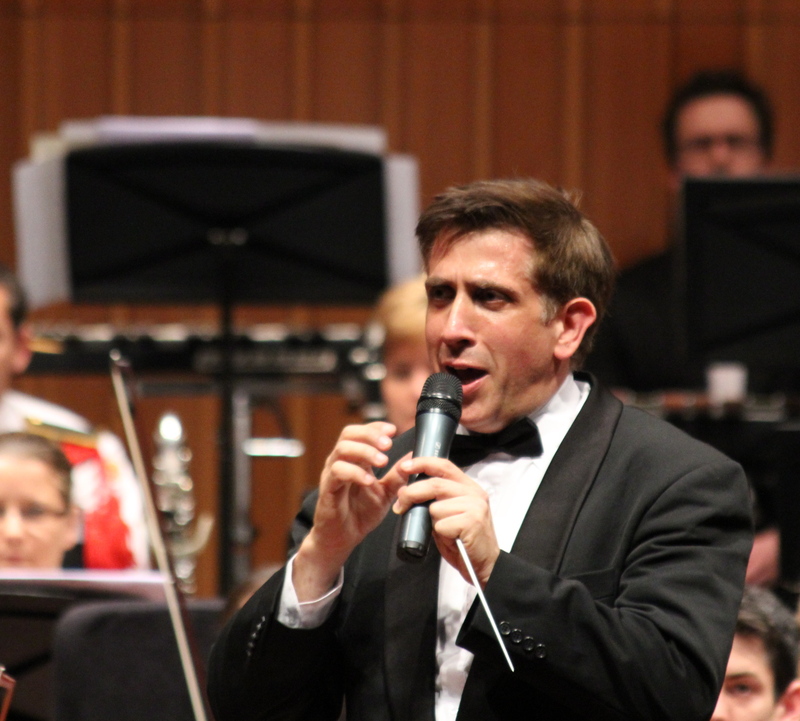 According to Nicholas Milton, the orchestra’s personable chief conductor and artistic director, the collaboration between the two musical groups was supported generously by Nick Samaras, founder and publisher of the Canberra Weekly, a free magazine. The concert opened with a rousing fanfare, followed by Gershwin’s Strike up the Band. Then on to Coates’ Dam Busters March. The rest of the first half featured Strauss’ Thunder and Lightening Polka, Walton’s Crown Imperial (played the way it was originally written), Sousa’s Washington Post, Elgar’s Pomp and Circumstance No. 4 and, finally, the Respighi’s moving Pines of Rome. No doubt about it, we could hear the troops marching in throughout the Pines of Rome and, during intermission, everyone agreed it was the standout number of the first half. If you believed the program, there were only three numbers after the interval—Suppé’s Light Cavalry Overture, Sousa’s Stars and Stripes (complete with piccolos) and the incredible 1812 Overture with accompanying ka-booms. Most likely you know some of the ending—da-da-da-da-da-da-da-boom-boom! There weren’t real cannons, but it sounded like it. And then the standing ovation. The applause, cheers and foot stomping were almost as thunderous as the cannons. And they got the desired result—encores. The Gershwin medley included I’ve Got Rhythm, one of my favourites. Then there was the final number, the rousing Radetzky March, which had everyone clapping to the music (which is what you have to do for that piece). Milton, who is a gifted violinist as well as the agile conductor (he’s a lot of fun to watch), tried to convince us that they hadn’t rehearsed this march, but I think he was fibbing. What a great note to end on—literally. If you are anywhere near Canberra on 30–31 October, make a diversion to see the orchestra and a 300-strong choir perform Carmina Burana. 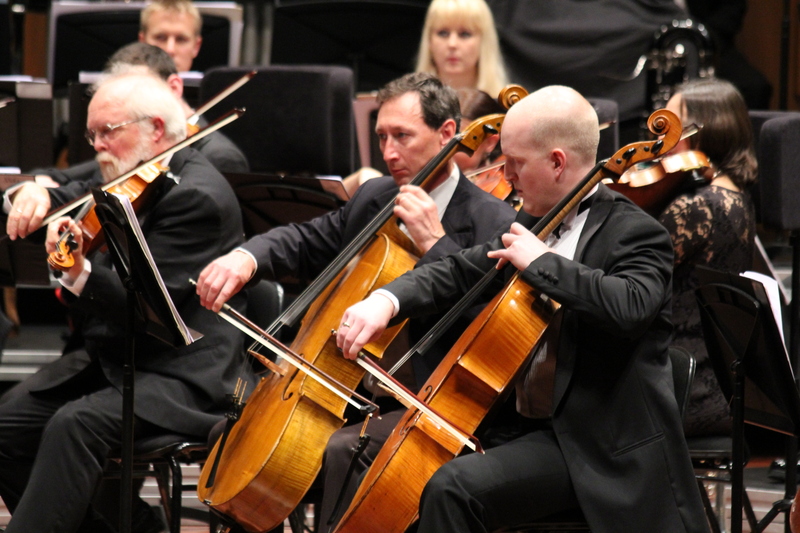 The performance is a centenary gift to Canberra from the Embassy of Federal Republic of Germany. I recommend booking early. I’d be there, but we’ll be in India. Very well said indeed Peggy. I agree with everything you’ve said. The photos are great too. Thanks Louise. It was such a fabulous performance. India? When, where and how for long? Late October to early December—for a camping expedition through national parks.